A bird doesn't sing because it has an answer, it sings because it has a song ! 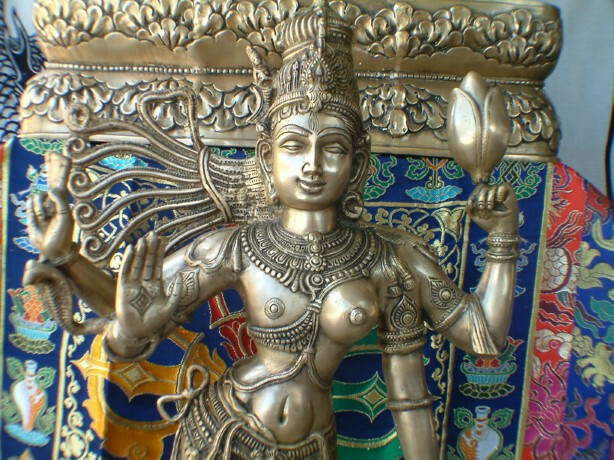 Lord Nataraja’s Temple Chidambaram, in Tamil nadu! Lord Nataraja’s Temple Chidambaram in Tamil nadu. Lord Nataraja’s Temple Chidambaram, in Tamil Nadu, the big toe is the Centre Point of World ‘s Magnetic Equator. After 8 years of R & D, Western scientists have proved that at Lord Nataraja 's big toe is the Centre Point of World 's Magnetic Equator. Our ancient Tamil Scholar Thirumoolar has proved this Five thousand years ago! His treatise Thirumandiram is a wonderful Scientific guide for the whole world. To understand his studies, it may need a 100 years for us. 1) This temple is located at the Center Point of world 's Magnetic Equator. 2) Of the "Pancha Bootha" i.e. 5 temples, Chidambaram denotes the Skies. Kalahasthi denotes Wind. Kanchi Ekambareswar denotes land. All these 3 temples are located in a straight line at 79 degrees 41 minutes Longitude. This can be verified using Google. An amazing fact & astronomical miracle! Of the other two temples, Tiruvanaikkaval is located at around 3 degrees to the south and exactly 1 degree to the west of the northern tip of this divine axis, while Tiruvannamalai is around midway (1.5 degrees to the south and 0.5 degrees to the west). 3) Chidambaram temple is based on the Human Body having 9 Entrances denoting 9 Entrances or Openings of the body. 5) These 21600 gold sheets are fixed on the Gopuram using 72000 gold nails which denote the total no. of Nadis (Nerves) in the human body. These transfer energy to certain body parts that are invisible. 6) Thirumoolar states that man represents the shape of Shivalingam, which represents Chidambaram which represents Sadashivam which represents HIS dance! 7) "Ponnambalam " is placed slightly tilted towards the left. This represents our Heart. To reach this, we need to climb 5 steps called "Panchatshara Padi "
"Si, Va, Ya, Na, Ma " are the 5 Panchatshara mantras. 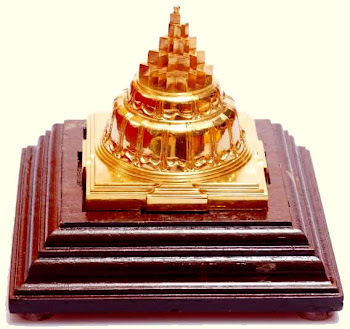 There are 4 pillars holding the Kanagasabha representing the 4 Vedas. 8) Ponnambalam has 28 pillars denoting the 28 "Agamas" as well as the 28 methods to worship Lord Shiva. These 28 pillars support 64 +64 Roof Beams which denote the 64 Arts. The cross beams represent the Blood Vessels running across the Human body. 9) 9 Kalasas on the Golden Roof represent the 9 types of Sakthi or Energies. The 6 pillars at the Artha Mantapa represent the 6 types of Sashtras. The 18 pillars in the adjacent Mantapa represents 18 Puranams. 10) The dance of Lord Nataraja is described as Cosmic Dance by Western Scientists. The reputation of Chidambaram is still greater because it is here that the hymns of three great Saivite Saints were discovered. They sang thousands of hymns in many Shiva Sthals they visited. Where were they for the use of the devotees? Tirunarayur Nambiandar Nambi and king Tirumurai Kanda Chozhan fell at the feet of Lord Polla Pillayar – Vinayaka to guide them in the matter. With the blessings of Lord Vinayaka, they came to know that all these great spiritual literature with the signatures of the respective authors are hidden in this temple. They rushed to Chidambaram and worshipped the authors with respectful festivals. They found the palm leaves covered by an anthill and mostly consumed by insects. Yet they picked up the available full leaves and saved them. All these invaluable spiritual literature would have been totally lost but for the painstaking and devout labor of Nambiandar Nambigal and Tirumurai Kanda Chozhan. #Note No the Chidambaram temple is not the center point of earth magnetic field. It is located where the magnetic equator passed please note it is not geographical equator and also at 11-degree latitude. Both these factors assist the spiritual journey those who seek for it. Its location on earth is the important factors. I will tell you how and why. It is located where the magnetic equator passes which mean magnetic dip is zero at this location. Please note two things - magnetic equator circles all around the globe so it, not the only place where the magnetic dip is zero and secondly the magnetic equator passes through Chidambaram when it was built,, it has shifted over the course of time. The answer to how it assists the spiritual journey - Earth magnetic field is the last thing pulling down our physical dimension after we free ourself from all other stuff (take it spiritually) so Chidambaram is the ideal location where the magnetic influence on your body is negligible. It is also located at 11-degree latitude. Spinning Earth has outward force called centrifugal force. At 11 degree this centrifugal force is directly upward . So this will help to channelize our energies upward which in turn assits (only) our spiritual awakening. These are the significance of location of Nataraja Temple at Chidambaram. You can also see numerous architectural marvels inside the temple which is covered in other questions.